Canadian Traffic Network ULC (“CTN”) is committed to the objectives of the Accessibility for Ontarians with Disabilities Act, 2005 (“AODA”) and the Ontario Human Rights Code. CTN will continue to provide its goods and services to persons with disabilities consistent with the core principles of independence, dignity, integration and equality of opportunity. One of the five standards developed under the AODA and the AMA, and now law, is the Customer Service Standard. This standard details specific requirements for all organizations with one or more employees. CTN is committed to excellence in servicing all customers including people with disabilities. We will communicate with people with disabilities in ways that take into account their disability. We will train employees and volunteers who communicate with customers on how to interact and communicate with people with various disabilities. We are committed to providing fully accessible telephone service to our customers. We will train employees and volunteers to communicate with customers over the telephone in clear and plain language and to speak clearly and slowly. We will offer to communicate with customers by email, in person or with the assistance of a support person, if telephone communication is not suitable to their communication needs or is not available. We are committed to serving people with disabilities who use assistive devices to obtain, use or benefit from our goods and services. We will ensure that our Employees are trained and familiar with various assistive devices that may be used by customers with disabilities while accessing our goods or services. We will allow all customers to use their assistive devices while receiving service from CTN. In cases where the assistive device presents a significant and unavoidable health or safety concern or may not be permitted for other reasons, other measures will be used to ensure the person with a disability can access our goods, services or facilities. We are committed to welcoming people with disabilities who are accompanied by a service animal on the parts of our premises that are open to the public and other third parties. We will also ensure that all Employees, volunteers and others dealing with the public are properly trained in how to interact with people with disabilities who are accompanied by a service animal. When we cannot easily identify that an animal is a service animal, our staff may ask a person to provide documentation from a regulated health professional. We are committed to welcoming people with disabilities who are accompanied by a support person. At no time will a person with a disability who is accompanied by a support person be prevented from having access to his or her support person while on our premises. CTN will provide customers with notice in the event of a planned or unexpected disruption to the facilities or services usually used by people with disabilities. This notice will include information about the reason for the disruption, its anticipated duration and a description of alternative facilities or services, if available. The notice will be placed at all public entrances on our premises. In Manitoba, CTN will provide training to employees, volunteers and others who deal with the public or other third parties on our behalf and also to individuals who participate in or who are responsible for development and implementation of policies. In Ontario, all employees and volunteers will be provided with the below training. New employees will be trained within a timeframe which is dependent upon the position they are hired for, and retrained in the event that changes are made to the plan. CTN will continue to ensure that its processes for receiving and responding to feedback are accessible to persons with disabilities by providing, or arranging for the provision of, accessible formats and communication supports upon request. 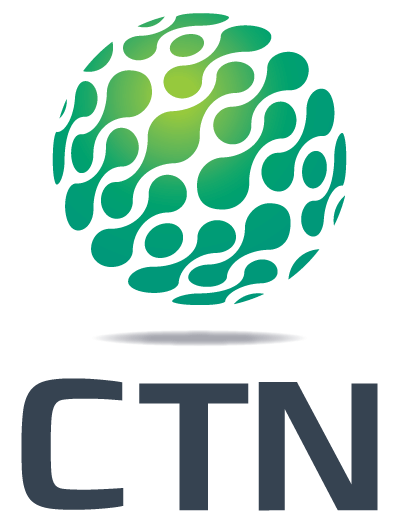 CTN welcomes feedback from any individual (including customers and suppliers) in person, by telephone, in writing, or by e-mail. The policy exists to achieve service excellence to customers with disabilities. If anyone has a question about the policy or if the purpose of the policy is not understood, please contact: Wendy Albright in our Payroll Department at 814-625-2615 or wendy.albright@globaltrafficnet.com. CTN is the Canadian division of The Global Traffic Network, which is the leading provider of custom traffic reports to radio and television stations.